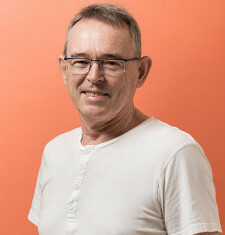 Richard Dobson, an architect by training, worked for over ten years for the eThekwini Municipality as a project leader, first of the Warwick Junction Urban Renewal Project and then for the inner city renewal programme. He left the city in 2006 to establish Asiye eTafuleni and focus on offering design and facilitation services to those working in the informal economy. His professional technical, design and project work has been recognized through various local, national and international awards and citations – namely, as recipient of the 2014 Diakonia Human Rights Award for advancing the rights of informal workers.